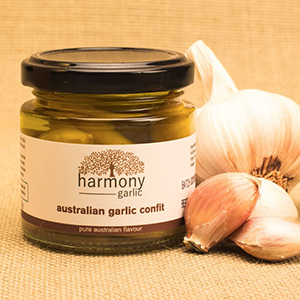 Given the current obsession with food, flavour, eating locally and naturally grown, surely Australian restaurants, retailers and consumers have ready access to Australian grown garlic product for 12 months of the year, right? 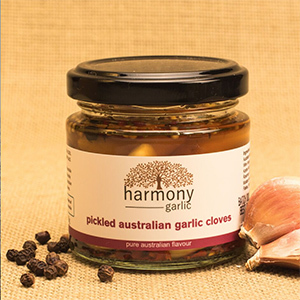 That’s what award winning garlic growers Helen and Brian from Gordon, Victoria thought – but they were wrong. 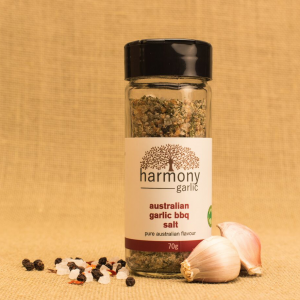 They started growing a few varieties of garlic about 6 years ago and couldn’t believe how quickly they sold out of product. 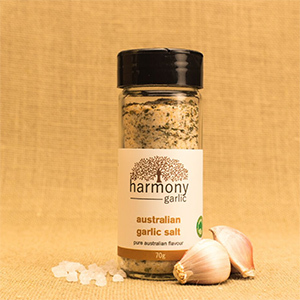 At the time there was an inadequate supply of fresh, quality Australian grown garlic for consumers. 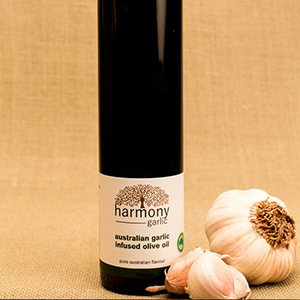 Each year Harmony Garlic have been substantially increasing production to meet a growing customer demand. 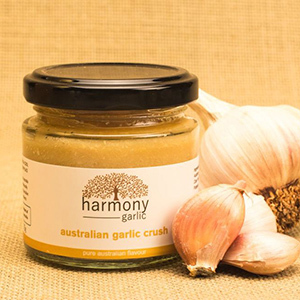 Helen and Brian proprietors, also had customers with various requests for their garlic which included cooking convenience, options for use and year round availability to local garlic product. 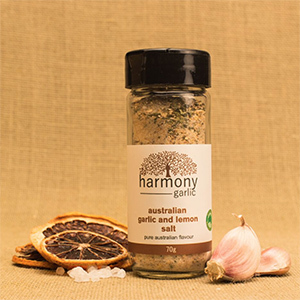 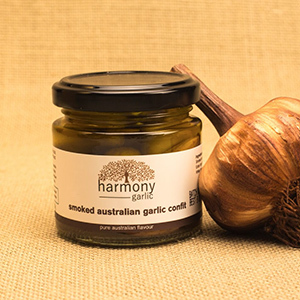 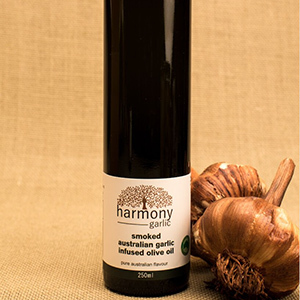 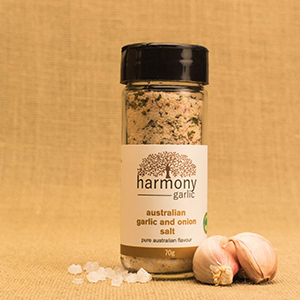 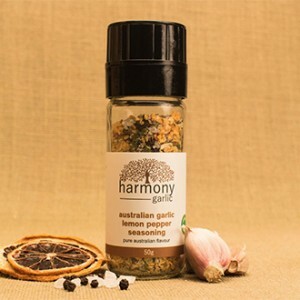 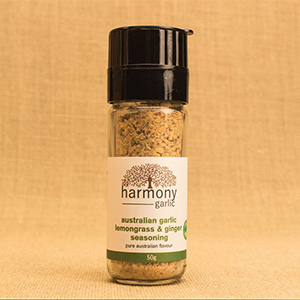 So from the early days, Harmony Garlic also developed a range of value add garlic products such as pre-peeled garlic, crushes, de-hydrated, smoked, pickled, salts / seasonings and the increasingly popular black garlic.